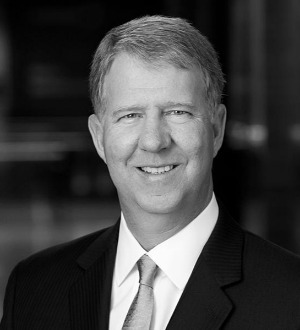 Craig A. Ramseyer counsels clients on general business litigation, as well as construction law and litigation. Craig’s practice specializes in partnership disputes, alter ego liability and contractual disputes. He also has extensive experience in handling disputes arising in both public and private works of improvement, including contractual disputes, bid protests, mechanics liens, stop notice and payment bond claims, work out agreements, design professional errors, omissions and delays, disruption and inefficiency claims. Craig is admitted to practice in the U.S. District Court, the Central and Southern Districts of California, the U.S. Court of Appeals, Ninth Circuit, U.S. Court of Federal Claims and the U.S. Supreme Court. Represented a general contractor on multiple school projects for Clark County School District. Represented a city on public library and sewer interceptor projects. Represented a surety company on take-over of low income housing project. Represented a condominium tower developer in suit against oil company for clean-up of contaminated soil and groundwater. Represented various contractors on public housing authority projects. Represented an owner in contract negotiations for Hyatt hotel construction. Represented a major water filtration systems supplier on various water treatment projects. Represented a national retailer on store construction. Represented multiple general contractors on various Caltrans projects. Defended a construction company officers and directors sued for alter ego. Represented a general contractor on high rise tower shoring collapse. Represented a general contractor on high rise glazing delay case. Represented a developer on high rise acceleration and extra work claims. Represented various general contractors in Court of Federal Claims cases. Defended multiple Federal False Claims Act cases.